This chilled soup is full of fresh ingredients and contains hardly any fat, making it the ideal starter for the whole family. Even your kids will love it due to its deliciously sweet and fruity taste, however you may want to go easy on the cayenne pepper. Let them carve out the watermelon balls and they will probably want to make it over and over again. Let them slurp it with a straw like a smoothie. Why not use the hollowed out watermelon as a serving dish? 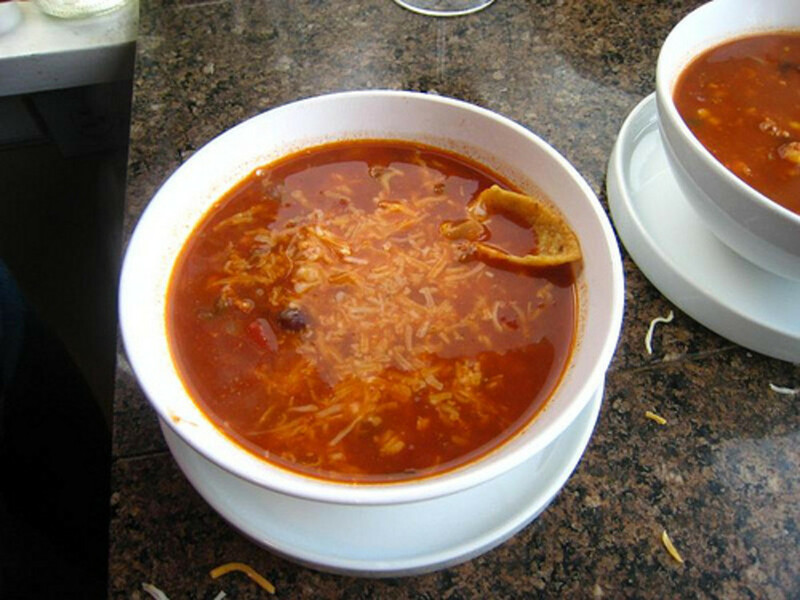 The soup has to be refrigerated for 3-4 hours before serving, so make sure that you start it early. As it can be made up to 2 days in advance it is the perfect surprise dish for your next dinner party or potluck. Add onion and garlic and sauté for approx. 5 minutes. Add tomato chunks and orange juice and simmer at low heat with lid closed for approx. 10 minutes. Add salt, cinnamon, cayenne pepper and nutmeg and whisk the spices under the tomato mixture. Cool down the tomato mix (if you are in a hurry you can put the pot into a water bath full of ice cubes). In the meantime carve 30 balls out of the watermelon with an apple corer. Put in the refrigerator for later. Cut remaining water melon in big chunks. Pour cooled tomato mixture into a blender and add water melon chunks. Blend well until it has a very smooth consistency. (Alternatively a hand blender can be used). Chill in refrigerator for 3 hours. 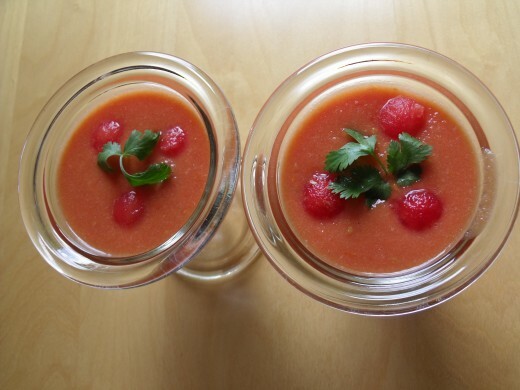 Serve chilled soup in soup bowls or ice cream bowls or use hollowed out watermelon as a serving dish. Add water melon balls and cilantro or other garnish. Believe it or not, elephants and watermelons have one thing in common. They don’t fit into a European refrigerator. Watermelons are huge, European fridges tiny. Europe is overpopulated and space is at a premium. An American model with double doors and icemaker would take up a whole kitchen, if not an entire flat. Most Europeans live with fridges the size of North American camping coolers. Just enough space for a six pack of beer, a bottle of wine, some milk, a couple of steaks and other necessities. Walk in fridges are as futuristic as space travel. 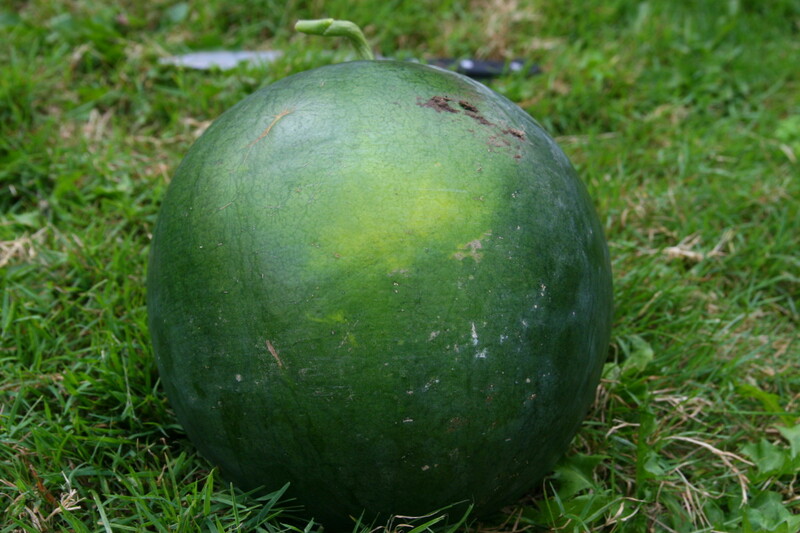 Watermelons are definitely out, whereas Cantaloupes and other small melons are in. It’s all a question of logistics. Unless you have a family of 10 or a 3 hour siesta for lunch, a watermelon doesn’t come into your house. 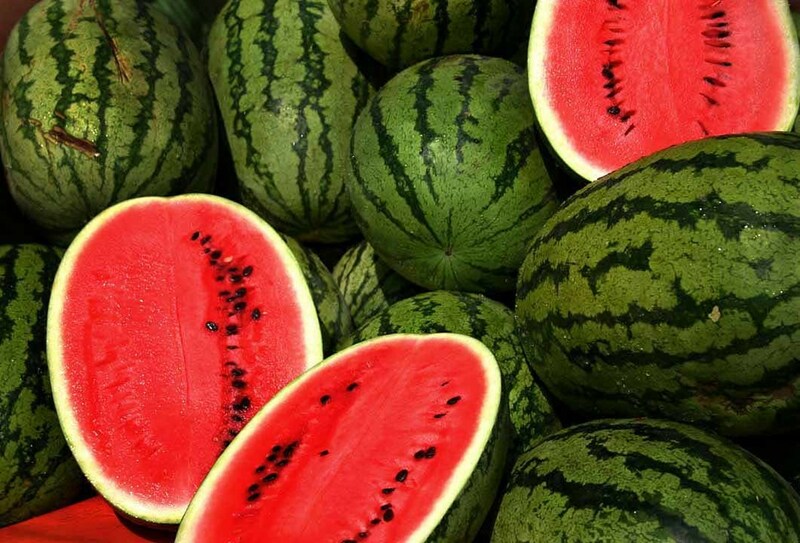 That’s the reason why watermelons are more popular in bankrupt countries such as Greece, Italy, Spain and Portugal. In the rest of the Euro zone people tend to hack the giant ball into tiny pieces which then get stuffed into every nook and cranny. Unless you are the proud owner of numerous Tupperware dishes, this is not advisable unless you want your refrigerator and all its contents to become a sticky mess. The tomato watermelon recipe was invented by a German gourmet magazine who came up with the glorious idea of mashing the ingredients to a pulp. Another great invention of German engineering. Our North American counterparts have solved the watermelon problem by designing huge refrigerators that accommodate even the largest of species. No wonder that the biggest consumer of watermelons worldwide is the US. Which proves the point once again: “Size does matter!” At least as far as refrigerators go. Of course, as usual the Japanese tend to tackle problems from an entirely different angle. They realized that it was not the size of the fridge that needed to be altered but the shape of the watermelon. Thus an entirely new breed of space saving watermelons was born: The square watermelon. It looks like a cube and neatly fits into packing crates and refrigerators. What a neat idea! So you see, watermelons are more political than you think. One thing that all nations have agreed on: Watermelons are healthy, no matter if you eat them puréed, sliced or cubed. Marie: I hope my comment comes in time to save the watermelon from being thrown out. First of all, you should definitely try out my soup recipe. 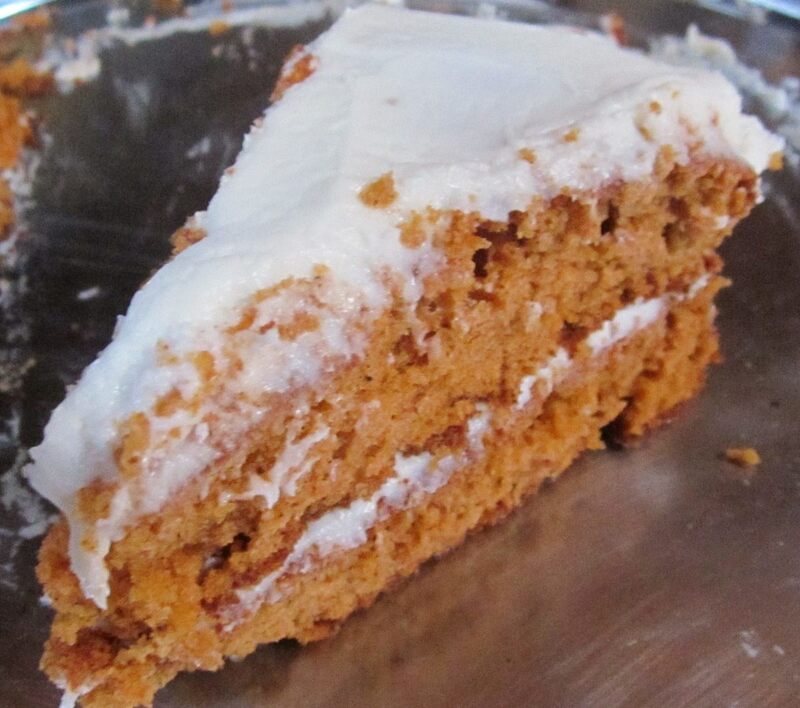 It's absolutely delicious and people get addicted to it! Also, your family probably hasn't shown any interest in the watermelon as nobody wants to get his/her fingers messy. Cutting up a watermelon is a bit messy and most people are too lazy to handle a watermelon. However, when they get it served in bite sized chunks they usually eat everything right down to the last piece. Also, you will be amazed how many nice watermelon recipes you can find on the web. I have actually got an enormous watermelon in my fridge. No one in the family has shown any interest in it for 2 days so I am starting to think of throwing it out....What a timely article to read! Thanks!!!! Trish, believe me, it definitely doesn't taste like tomato soup at all and it's very fruity and refreshing. 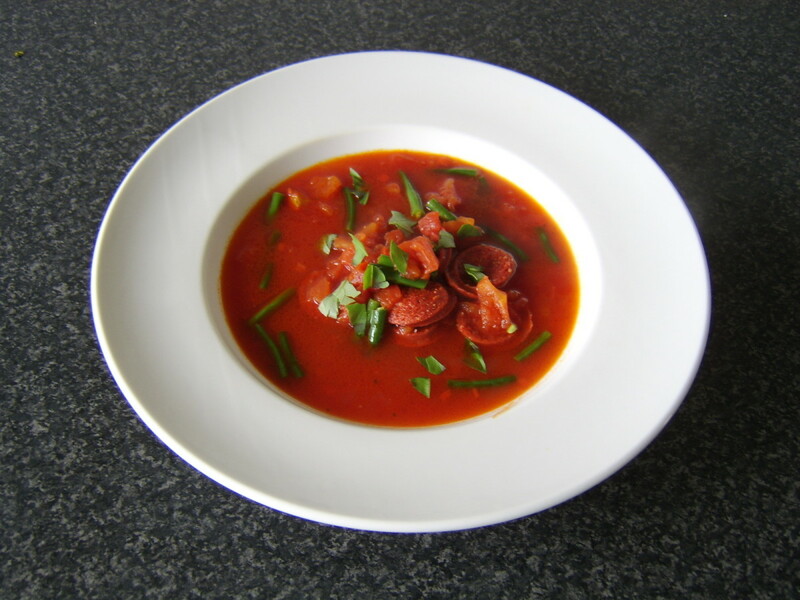 I love this soup and would like to make it. I'm pinning it! Great article! I learned several new things - that's ALWAYS a plus.